In 2010, the Alleycat partnered with the Santa Claus Fund and held two garage sales. Over $5,000 was raised, with all proceeds going to the Santa Claus Fund. The Alleycat’s services were used for the BB/BS Bowling event at a reduced rate. 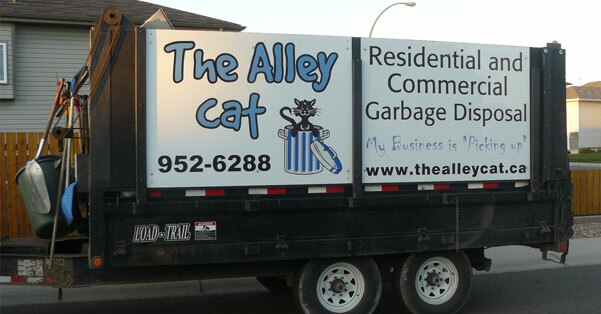 The Alleycat has donated their truck for use for garbage disposal the day of the round-up. The Alleycat’s services were used by the BMX Racing Club at a reduced rate. Donation of T-shirts for volunteer workers for Red Cross bingo. For several years, the Alleycat provided garbage removal at a reduced rate.